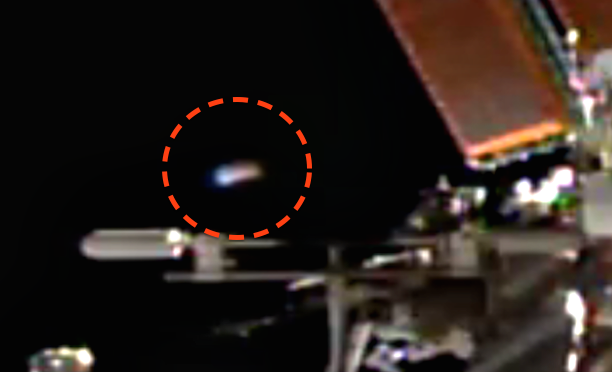 UFO SIGHTINGS DAILY: UFO Caught Near Space Station, Classic Saucer On NASA camera! 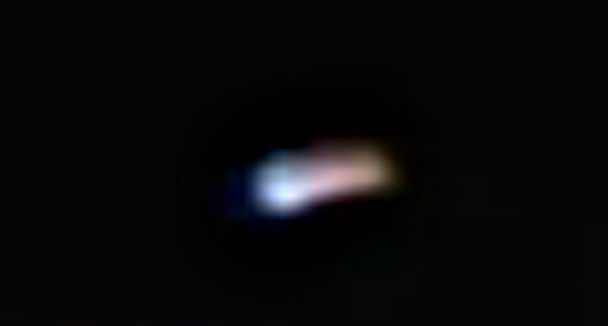 April 29, 2017, Photos, UFO Sighting News. UFO Caught Near Space Station, Classic Saucer On NASA camera! April 29, 2017, Photos, UFO Sighting News. This is a classic disk style craft that an anonymous person reported this week. Caught on the live NASA space station cam, UFOs are seen every few hours, and even every few minutes during space walks. NASA has become so paranoid about it that they often cut to blue screen or maintenance screen in an attempt to hide these UFOs, but there are just too many. On april 29th at around 21:06 g.m.t for around 10-15 seconds during a live stream of the international space station I observed a faint light which got lighter before appearing as two whitish lights before materialising into what I can only descibe as a "flying saucer" the event (which I was hoping would happen) only lasted 10-15 secs which i managed to screenshot the photos on my iphone I know what this wasnt and would hope somebody else has this footage on video.